Partner with Hope Family to bring love and care to orphaned, abandoned, and at-risk babies. We do not offer individual sponsorship profiles for babies because they are typically with New Hope for a short time as we seek to find their relatives or an adoptive family to care for them. Instead of an individual child, would you consider supporting the ministry of Hope Family as a whole? Ruth’s story was one of rejection from her mother, who sadly couldn’t even manage to look after herself. The community where Ruth and her mother lived had tried very hard to help but to no avail. 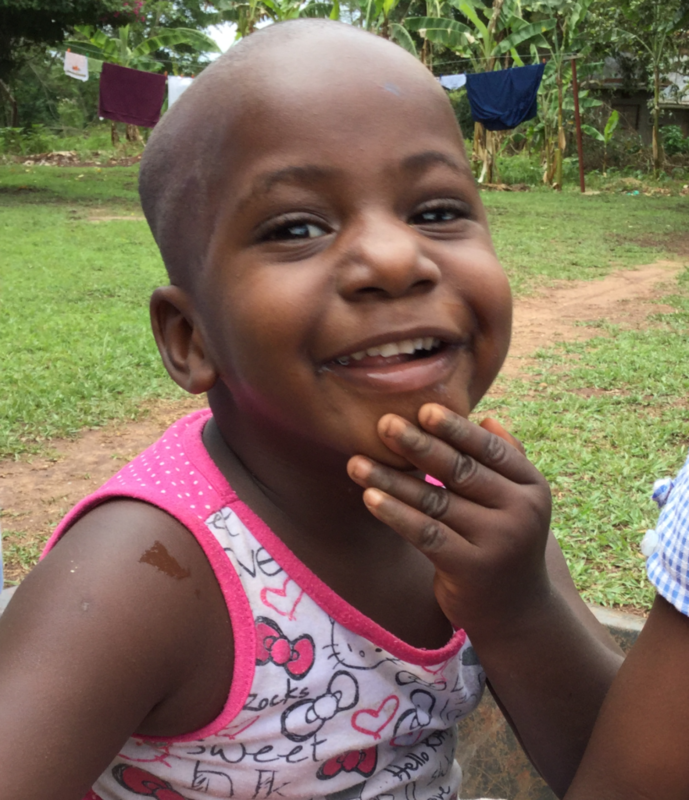 Ruth came to Hope Family (our babies’ home) severely malnourished and was quite literally a bag of bones, weighing 11 pounds at age two and a half years old! We quickly realized that Father God had given Ruth the spirit of determination and in a home where there is much life and activity, this beautiful little girl has flourished. Ruth’s mother has severe mental health issues but the surrounding community and church are managing to support her and she herself (when last visited) looks to be much more stable. Today, in Hope Family, under the loving care of our wonderful mothers, Ruth has gained good weight and that smile tells the story of a changed life, one that reflects hope! * This story is a true, current, story of a child in our care, but for confidentiality reasons the name has been changed. The actual now healthy toddler is pictured here.